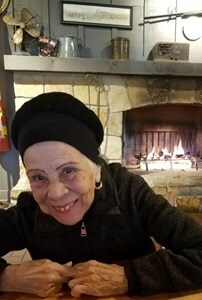 Ana Gloria Guardiola, 88, of Junction City, Kansas, passed away on April 9, 2019 at Valley View Senior Life Center. Cremation is planned and her ashes will be taken to Puerto Rico for burial. She was born on May 27, 1930, San Juan, Puerto Rico to Maximino and Ana (Pantoja) Guardiola. She was preceded in death by her father, Maximino Guardiola; mother, Ana Guardiola; and husband, Rafael Rodriguez. Mass-Hinitt Funeral Home in Junction City, KS, is assisting the family with the arrangements. Add your memories to the guest book of Ana Guardiola. May the good Lord bless Dona Gloria and take her to his bosom. And may God bless Richard for being the good son he is and his wife Rebecca for being at his side the whole time. Love you all and may God bless you always. Our Condolences. A loss for us all. We have such wonderful memories.Too many to post! I will always remember the love and care you gave us.Praying for our family and friends during this difficult time. May we find peace and comfort with each passing day. She was a blessing to us all. May she rest in peace. Love you..
We enjoyed taking care of Gloria and are blessed that you chose us to help you with her care. She will be greatly missed. Ralph, Our condolences to you, Carmen and the family. Our thoughts, love & prayers are with you all during this difficult and painful time. ???? Recordaré a Gloria como una abuela para mí. Siempre me recibió en su hogar y me aconsejó con amor y cariño. Desde Bayamón Puerto Rico, nuestro mas sentido pésame a mi amigo Angel M. Sepúlveda y a toda su familia.